Optional decorative cushions. They can be added to any of our models. Possibility of different sizes and designs. Cushion with seam in the middle and pointed corners. Cushion with seam in the middle and corners in T. Cushion with band. Cushion with band and button in the middle. Square cushion with two pockets, or round with one Pocket. 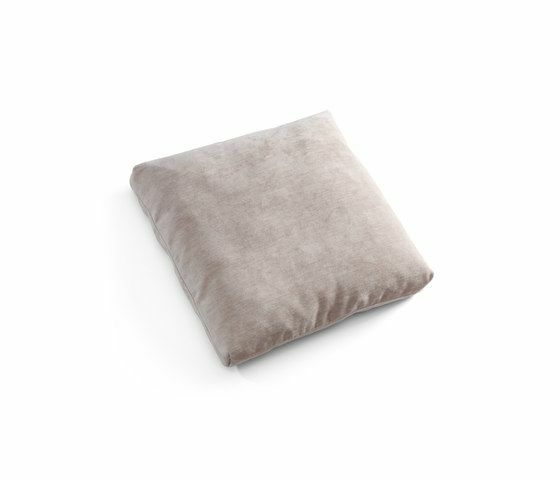 MATERIALS: Decorative cushion with interior cotton cover padded in microfiber down touch (Microgel). With interior zipper to adapt cushioning.